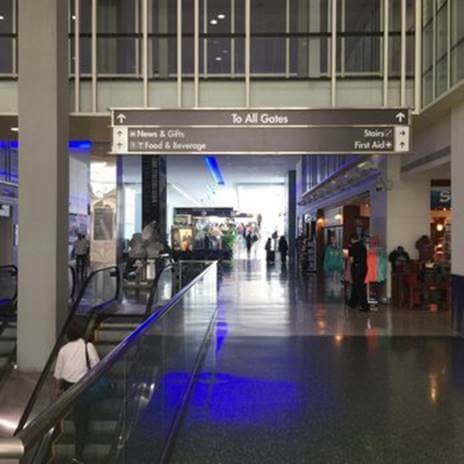 After landing at McGhee Tyson Airport, the passengers will be offered to proceed to the Baggage Claim area where they will be able to take the luggage. The airport signs will show the path to the baggage carousels. In case of the loss or damage of the baggage, the Lost & Found Office service providers will provide any needed assistance. However, certain limitations are implemented for the content and weight of the carry-on bags, and those shall be discussed with the airline offering the flight. The flights arriving at McGhee Tyson Airport are coming from Fort Lauderdale, LasVegas, Orlando, Punta Gorda, St. Petersburg/Clearwater, Baltimore, Fort Walton Beach, Newark, Charlotte, Dallas, Miami, New York, Philadelphia, Washington, Atlanta, Detroit, Minneapolis, Denver, Houston.